Civilization: Beyond Earth is high on my most wanted list of games this year and I am extremely happy now that it’s finally available for purchase. Although I haven’t had any problems so far with the game, there are some people who are experiencing constant game crashes and other problems, and we are here to try and help you. To keep all solutions close by, we have created this article where you can check out how to fix Civilization: Beyond Earth crashes, freezes and other game problems. Most likely, a patch will follow very soon, fixing most of the problems, but until then you can still check out some possible solutions for Civilization: Beyond Earth crashes. First of all, do all the common sense things: make sure that your computer meets the minimum system requirements, quit all the programs running in the background (including antivirus), make sure that your drivers are updated to the latest version (including the audio drivers) and if all else fails, check game’s integrity on Steam. Many of the crash reports are solved if you match the game’s resolution to that of your screen’s resolution. For example, if your normal desktop resolution is 1440×900, make sure that the game has the same resolution. Go to the install folder of your game and open the file config.ini with a text editor like Notepad. Find the line EnableGameCoreThreading = 1 and change it to EnableGameCoreThreading = 0. Save the file and restart the game. This hopefully fixed your problems. If you are getting the SHGetKnownFolderPath failed pop-up message when playing Civilization Beyond Earth, that’s because you don’t have your documents in the default folder. One option would be to restore your Documents folder to the default location, but if this is not an option for you, you can try to edit the registry path for the folder. Run the Regedit command line and go to HKEY_CURRENT_USER\Software\Microsoft\Windows\Curre ntVersion\Explorer\User Shell Folders and change the default My Documents location to the one you are currently using. 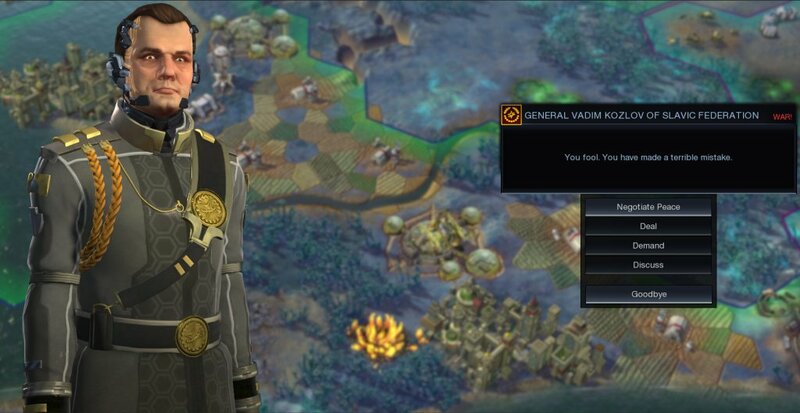 This fix was reported over on the Steam forums, and it goes like this: Go to your steam installation folder (normally C:\Program Files (x86)\Steam\SteamApps\common \Sid Meier’s Civilization Beyond Earth\VCRedist) and run vcredist_x86.exe – restart your computer afterwards and play the game! It appears that high refresh rate monitors are forcing the game to crash and/or doesn’t allow users to select a proper resolution. Unfortunately, there is no fix on that but 2K Games announced on Twitter that they’re aware of this problem and they’re working on a patch to fix things up. These would be, for now, our recommended Civilization Beyond Earth crash fixes, but we’ll make sure to update this article when we find new information about possible ways to fix your in-game problems. If you managed to find a solution that fixed the game for you, let us know by commenting below!